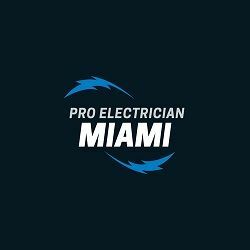 Pro Electrician Miami - Electrical problems need the attention of professionals and experts which is why you need a team that can give you safe and secure service. Electrical problems need the attention of professionals and experts which is why you need a team that can give you safe and secure service. From heating systems to lighting, power sources for appliances like computers and TV monitors, there\'s a long list of electrical related items that either need to be installed, maintained or repaired in any home, office or commercial space. This is where our services come in. We at Pro Electrician Miami pride ourselves in rendering expert and professional services that cover the entire range of residential and commercial electrical needs. Our crews come to your home with modern and state-of-the-art tools to do the job. You want a project to be done at the shortest possible time? Our experts can discuss with you what needs to be done and how, as well expected time frames so you know what to expect. You are also welcome to ask any questions regarding the project so that you are in the loop every step of the way. You never know when a power problem will occur, so we make sure that services are available anytime so you can get back to your life in no time. Our teams of skilled and experienced electricians are friendly, punctual and ready to solve your electrical problems 24/7. We offer residential and commercial electrical services, from installation and management to repairs. From simple projects like single lighting installations to the rewiring for an entire house, our teams are capable to handle any job. We also conduct seasonal maintenance to make sure that your heating system is ready for winter and your air conditioning system is ready for summer. We are the best because you are our priority and we make sure our teams are equipped to give you the best service possible. For a family-run business, we are committed to giving nothing less than world class service to our loyal customers in Miami, Florida. In 2017 Michael decided to expand Red Royal Electric. His focus is hiring and training the best residential electricians so that our customers get and enjoy great service.